THE BRITISH RAILWAY STORIES LTD: "Some modellling! Hooray!" 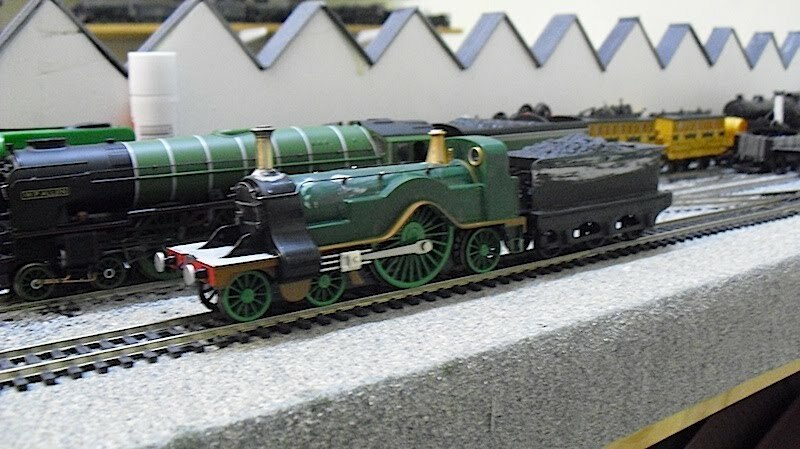 In what seems like forever, FINALLY a blog post which includes modelling trains in it! A friend of mine offered me this turned brass chimney - he'd found it in what he describes as the "spare parts bin", but to me, it's a mecca of unused and long forgot sundries which sometimes may turn up a gem. And this is one of them! The Emily chimney tapers too much, and is too tall, and had to go. After chopping it off, filing the base down, and fitting the new chimney with some adhesive, I used some Humbrol model filler to make it even around the base. And this is the result: it certainly makes it look more like a Stirling Single, even if the chimney isn't quite the right profile (looking at pictures of the preserved single, the one I am trying to model, the chimney doesn't seem to be an exact match for the original chimneys in any event). I'm nearly at the stage where I am happy enough to spray it in primer. The only obstacle - and one I've chickened out of doing for some time - is the splasher. I absolutely dread drilling into that. It did make me think mind - surely an etched brass overlay, designed to fit the Bachmann splasher, would aid scratch builders? Something to mull over anyway. Until next time - oh, and I might have sorted out the handrails by next time. 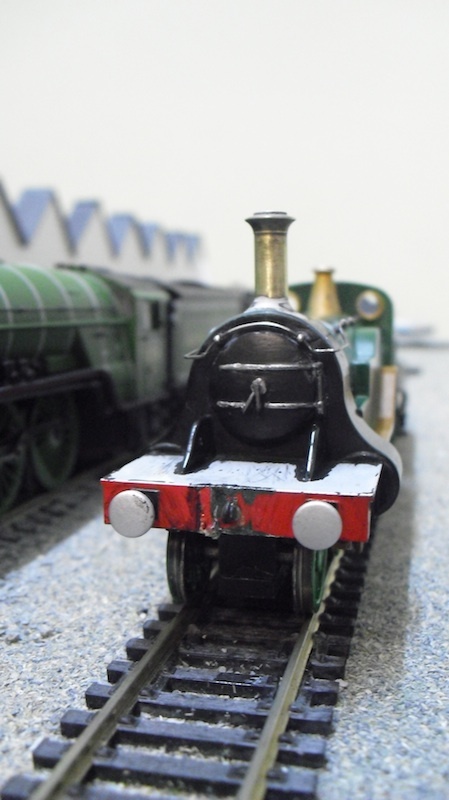 For some utterly bizarre reason, I was convinced the handrails had kinks in them from the smokebox to the boiler. They don't, they are completely straight. Ergo the handrail at the front of the smokebox is extremely off...!!! Bit of an inconvenience that No. 1 was one of the ones with slatted splashers isn't it? "Hornby Thomas VS Bachmann Thomas: UK vs USA!!!" "The PW Competitions 2010 - RESULTS"
"New Year - New Episode Announced"